Discover just how expansive digital storage can be with an IBM 73.4 GB hard drive. The IBM Ultra 320, model number 18P3261 is made for business computers that need to be able to store massive amounts of data. As an internal hard drive, it can be installed in conjunction with other existing drives to expand internal memory and create a machine dedicated to storage. 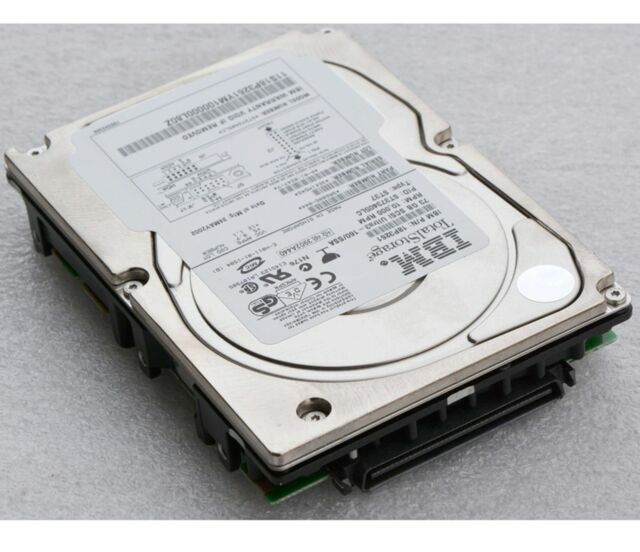 For computers that need new parts, the IBM 73.4 GB hard drive is large enough to act as the main drive, providing the computer with ample digital storage space. Use it to collect digital files, photos, and even videos. This internal hard drive is capable of handling most workloads without slowing down the computer. Operating at an impressive 10000 RPM, this drive is fast enough to keep up with even the busiest work demands. Revitalize old computers that need a new lease on life, or create an optimal storage computer with the internal memory space of the IBM 73.4 GB hard drive.